I'm only joshin' y'all. I mean, we did kinda kick their booties there in the second half, but they put up a noble fight in the first half. The Aggs look mighty fine this year and their defense is way better than ours. Alas, we still won though, just like last year : ) Maybe next year, Aggies! Thirdly, A Blonde Ambition has a brand new sponsor! Meet Lauren Cordle, an Independent Scentsy Consultant who would love to help y'all get Scentsified (word?) There are some AH-MAY-ZING fall scents, like my favorite, Honey Pear Cider and Pumpkin Roll Scentsy, which is just perfect for Thanksgiving and the holiday season. Go check out her page now! I really love the idea of doing pumpkin topiaries. The height is a major attention grabber and the bright orange of the pumpkins just pops on a front porch. LOVE! I’m pretty obsessed with white pumpkins this year. I think they’re chic and a little more high-end looking than typical orange pumpkins, especially for interior decorating. I also like the second photo (on the right) below in which the artist did a decoupage treatment to the pumpkin using golden leaves…presh! 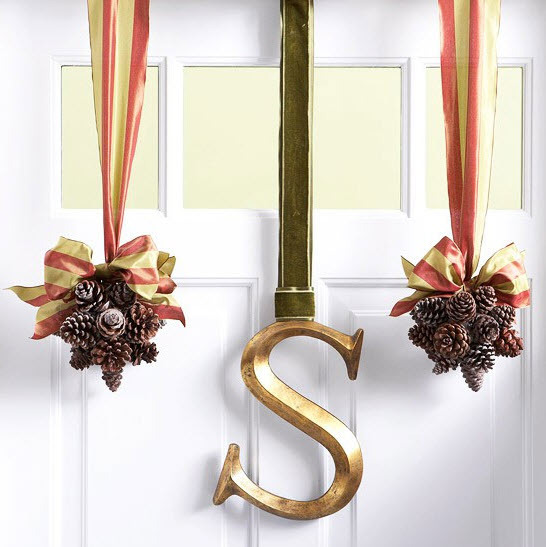 I seriously might have to replicate this front door scene that this designer created using a monogram initial and pinecones with simple, fall colored ribbon. I think a trip to Hobby Lobby for supplies might just be in order! 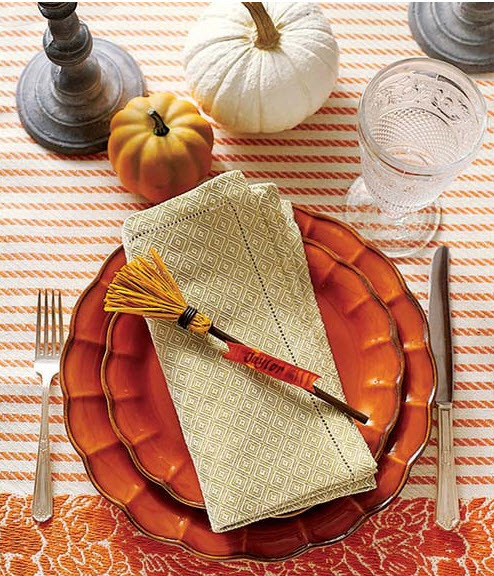 How cute is this fall place setting? I’m not one for throwing super fancy dinner parties, but I think I might need to try this for Thanksgiving! We’re planning on doing Thanksgiving at our house this year and having both sides of the family come over…so I’ll need to have the table looking super cute! Y’all have probably seen the pic above floating around Pinterest, but I just had to post it. You can create these at home by carving out the inside of a red delicious apple and inserting a tea candle. It would look gorgeous for fall and even Christmas, as the red is just perfect for holidays! 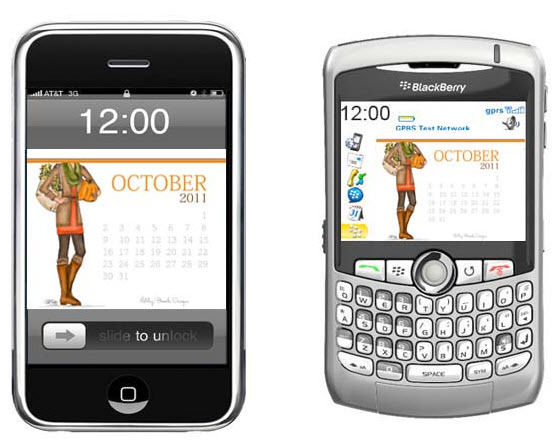 Finally, decorate your iPhone or Blackberry with Ashley Brooke Design's adorable October downloadable wallpaper, seen above. I put it on mine just last night and love it! Go here to get yours for free! I’m off to convince the hubs that I need a new pair of boots, (yeah right)…wish me luck! Hope your hubby has a speedy recovery!! I know being in a cast is NO FUN! 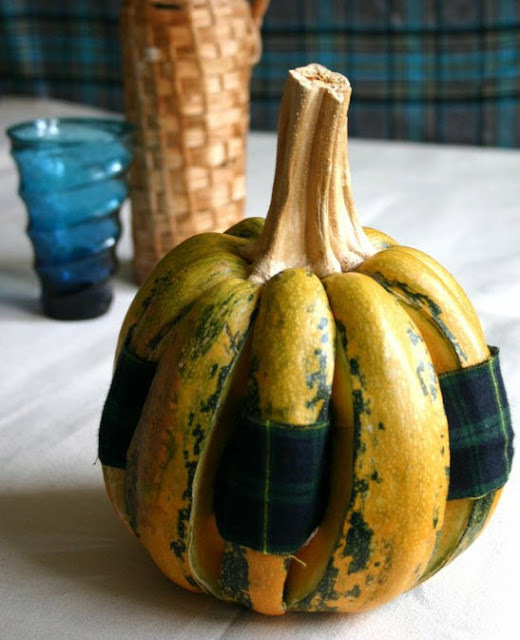 Love all your fall pinterest decoration inspiration from Pinterest! Hi BSA! I don't have a Pinterest, although I LOVE that site! I think I'd drive myself crazy if I subscribed to another form of social media, ha! Love to go on there and look at the gorgeous photos, though! haha! 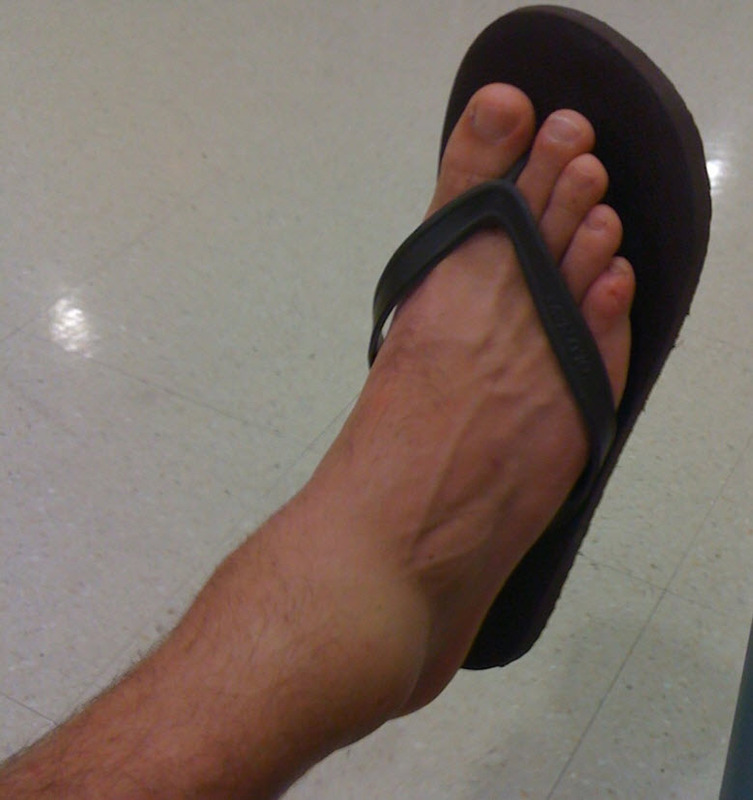 His ankle looks like mine do right now!!!! ;) Glad there's no surgery! And while it's not fun, I'm thankful the injury isn't much worse and neither of y'all are laid up in a hospital! Miss y'all! Hope you have a good week!!! omg what a game, right?! i was in dallas when the victory happened, although i didn't go to the game, i was still excited to be there! omg all those lovely pictures makes me want to do some fall decorating. i think a new fall wreath for my front door is in order. Hope the hubby has a speedy recovery. And those boots....LOVE EM!!! But $150-160 or so is my limit...to bad so sad. I am on the hunt for some just like that though. 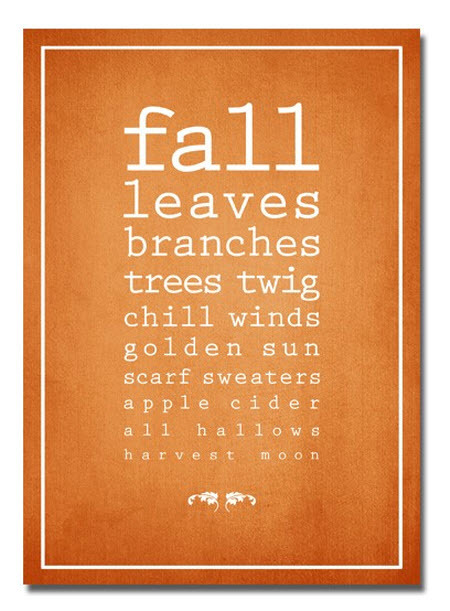 I love to look at all the wonderful fall decorating ideas but never seem to get around to doing any of them. Thanks for sharing. Hope your hubby starts to feel better soon and is up and going quickly. i really like all your fall decor inspiration! esp the front door with the pine cones! We take so much longer to heal!! 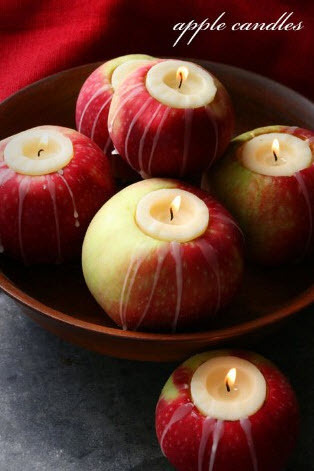 love the apple candle idea! love your picks!! I am going to check out those pictures for the Iphone! I love the apples with the tea light in them, so cute! I'll def. have to try them. Fall is a perfect time for decorating! Hope your husband has a speedy recovery! I love the white pumpking with the golden leaves. I think that might be something I will do this season! And the front door is so cute, such a great idea! Hope the hubby heals soon!!! And I was pumped to see those Aggies lose. You just can't mess with the SEC. They never seem to learn. I love all of those fall decorating ideas!!!!!! I MUST know if those pumpkin toparies are what you created or where I can purchase that? I LOVE IT! 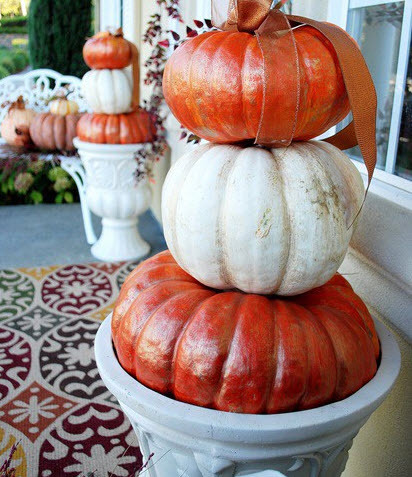 And I never, ever would have thought about using white pumpkins, but it's just plain fabulous! My poor planters are so pitiful and I need something to spice them up!! We are the Ags, not the Aggs. What a GAME, right?! I am ready for Auburn this weekend! I hope the hubby's ankle gets to feeling better! Just bought a new warmer and that yummy honey pear cider scent brick from a Scentsy consultant in our area. Love, love, love!! Love that big gold S from the door scene, I need that asap! 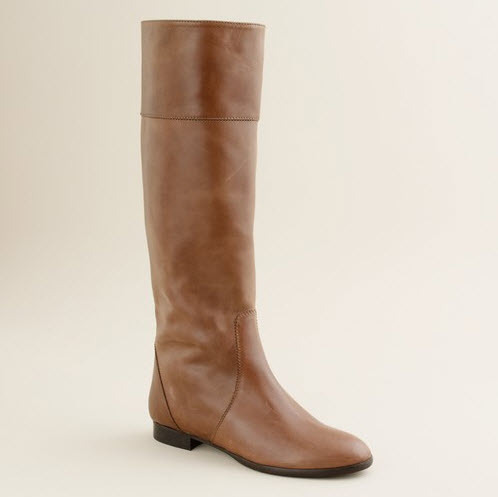 Also loving the Booker boots - perfect for fall!